‘Beyond Budgeting’ means beyond command-and-control toward a management model that is more empowered and adaptive. Beyond Budgeting is about rethinking how we manage organizations in a post-industrial world where innovative management models represent the only sustainable competitive advantage. It is also about releasing people from the burdens of stifling bureaucracy and suffocating control systems, trusting them with information and giving them time to think, reflect, share, learn and improve. 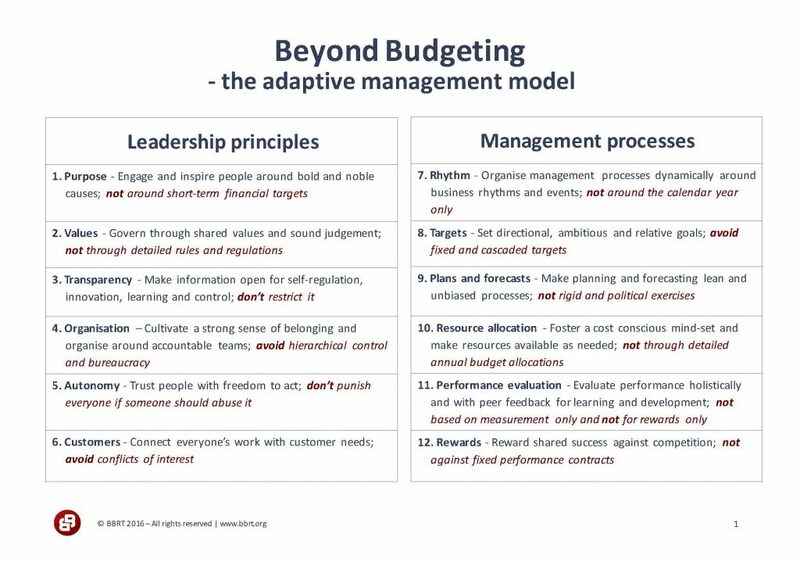 Above all it is about learning how to change from the many leaders who have built and managed ‘beyond budgeting’ organizations. So, what do we mean by “Budgeting”? The word ‘budgeting’ is not used in its narrow sense of planning and control, but as a generic term for the traditional command and control management model (with the annual budget process at its core). In this context it describes both a management culture and a performance management system. The training places great emphasis on storytelling and practical examples and presents that you will be able to use when getting started with your Beyond Budgeting initiative. CFOs, Finance, HR, IT, Managers and others interested in how to enable great performance in organisations. The course level is intermediate to advanced. Some professional management experience is recommended. An understanding of the Agile principles is useful but not strictly necessary. Bjarte Bogsnes has a long international career, both in Finance and HR. He is currently heading up the implementation of Beyond Budgeting at Equinor (formerly Statoil), Scandinavia’s largest company. Bjarte is Chairman of Beyond Budgeting Roundtable (BBRT). He is a popular international business speaker and is the winner of a Harvard Business Review/McKinsey Management Innovation award. 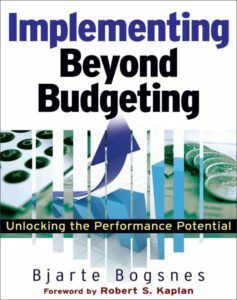 Bjarte is also author of “Implementing Beyond Budgeting – Unlocking the Performance Potential”, where he writes about his twenty years long Beyond Budgeting journey. Statoil has opened up for Bjarte to undertake select external consulting work. the workshop ticket is € 400!! !